In 2017 I discovered the brand Cake Beauty, in all it's hair glory. After being one of the lucky ladies chosen to take part in their Hair Raiser campaign (watch This is Cakeland's videos here) I went online to buy some more products. The Jet Set Travel Essentials Set ($49) is an incredible deal that anyone would get use out of. I took advantage of their 20% off coupon and added some Hair Slinkys to amp up the gift even more. Inside: The rush brush tinted dry shampoo - so cool, it's brush-on powder! The 'do gooder volumizing dry shampoo spray, the wave maker texturizing beach spray, heavy cream intensive hand repair balm, the brush crush dry styling hair brush (my office desk essential), the grip clips dry styling hair clips. Lelo's The Alibi gift set ($129) provides a great value for money as the stunning gift box is packed with the brand's best-sellers. Pick up this gift for yourself or a loved one, they even have 10% cashback on Ebates! My sister Alissa is queen of the gift basket. She put together the sweetest set of pamper products and snacks that have nearly all disappeared since my birthday. You can repurpose an old box or grab a new one at a craft store then fill with customizable skincare, cocktail mixers and cheese plate sides. Inside: Sheet masks from Dewytree, crackers, London Rd. cocktail mixers, white wine cans, Ikea's cloudberry jam, lipstick and strawberry candies. It's so fun to throw in a little lippy with any girl's gift. Mamonde is a Korean brand. 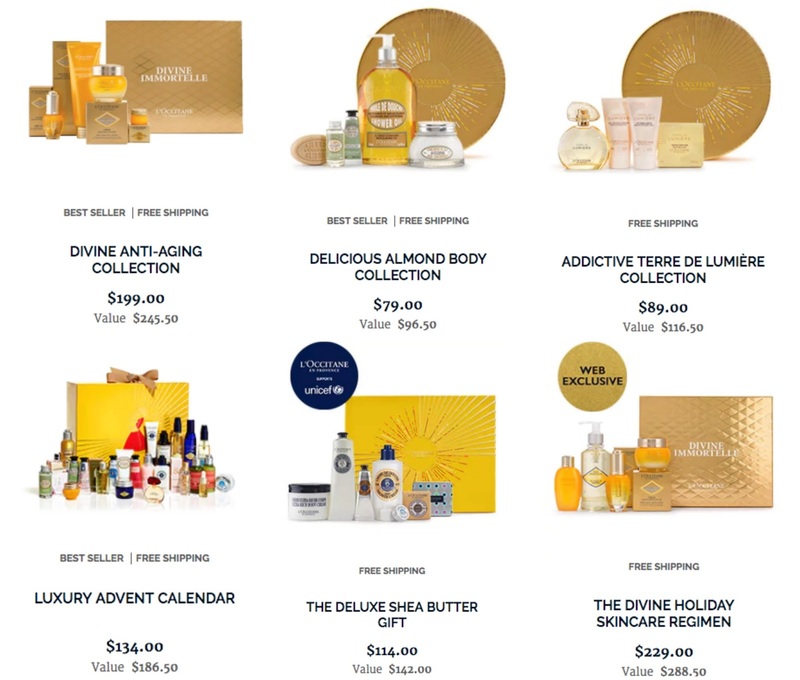 If you're in a pinch, L'Occitane is the place to visit for an outstanding present. I attended the media preview of their newly renovated Yorkdale Mall location, and re-fell in love with the brand all over again. 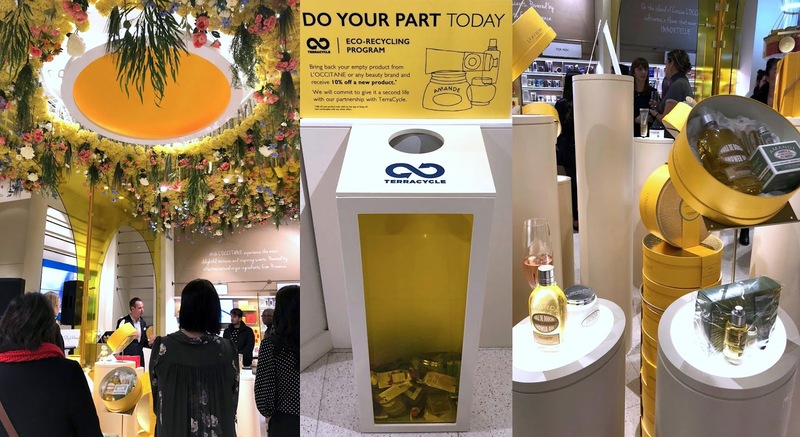 Highlights: custom engraving in-store on glass bottles, a gift wrapping station, experience pods showcasing the fields of Provence, and rain shower sinks to try their latest hand and body wash.
See all of L'Occitane's Holiday gifts online here. Bring in any old cosmetics bottle to recycle, and receive 10% off one full-size item. I love keeping up with the Taste Canada Awards as they've held a bunch of outstanding events for foodies in 2017. I received a very generous gift bag at The Bay this past summer while celebrating the launch of two cookbooks: Bobbette & Belle and BATCH. Inside I got three kitchen gadgets that have completely blown me away: Grosche's Madrid Coffee and Tea Premium French Press ($50), Braun's (dishwasher safe!) Travel Mug ($32), and the Cuisinart Food Spiralizer ($30). Any meal-prepper and coffee/tea drinker would adore you for getting them these outstanding kitchen items. I love all these ideas, and I'm very intrigues by the brush on Cake powder!